James McAvoy's impressive acting and fleeting moments of powerful imagery dazzle in M. Night Shyamalan's Glass, but that can't make up for the film's shattered second half. M. Night Shyamalan holds a unique place within the critical discourse of the film industry. These days, he's met with constant skepticism if not outright derision; after disasters like The Happening (2008), The Last Airbender (2010) and After Earth (2013), the mega-stardom that followed his early works dissolved almost entirely. Instead, he was left only with the kind of begrudging respect offered to cult directors, with the bar for reentry into the class of the respected set tremendously high. The Visit (2015) and Split (2016) nearly rehabilitated his image, at least in the eyes of those willing to give him another shot. Unfortunately, Glass mostly serves as yet another step down. 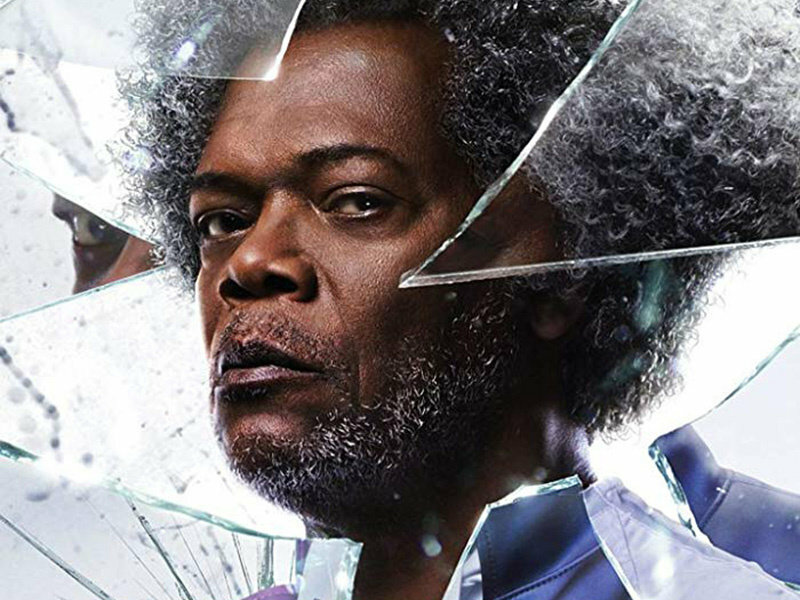 The final film in Shyamalan's Eastrail 177 trilogy, Glass is almost certainly an attempt to capitalize on his recent success (The Visit and Split were both positively reviewed and hugely profitable). It also arbitrarily completes the overall narrative that started with 2000's Unbreakable, which starred Bruce Willis as an indestructible train crash survivor and Samuel L. Jackson as the brilliant terrorist behind the attack. Split was only a sequel thematically and by way of Willis' surprise cameo, but it was a smart decision, harkening back to one of the director's most beloved titles in a way that felt, if not entirely convincing narratively, very comic book-lite in its manner of coming full circle. By this logic, Glass is essentially an act of fan service — one that had the potential to satiate both longtime Shyamalan acolytes and film fanatics searching for a bout of self-aware comic book deconstructionism. The result isn't entirely successful on either front. Set three weeks after the events of Split, Shyamalan's latest follows David Dunn (Willis) and his son, Joseph (Spencer Treat Clark, reprising his role), as they track down criminals in greater Philadelphia. One of those criminals is Kevin Wendell Crumb, whose 24 split personalities has earned him the nickname, "The Horde". Using his son's working theories and his own extrasensory perception, Dunn intuits Crumb's general location and runs into him on the street. He then frees four cheerleaders Crumb is holding hostage and confronts him, leading to a fight between superhuman and beast (Crumb's most dangerous personality is that of the Beast, who asserts reckless control amongst the 23 other personalities). Both are arrested and sent to the same mental institution that holds Elijah Glass (Jackson), the perpetrator of David's fated train crash. If this first act is surprisingly strong, it's because it doesn't fall victim to the relentless over explanations of the film's second half. Even without the backstory provided by Unbreakable and Split, viewers can easily revel in the camp delight that is McAvoy's skilled performance. A good part of the fun lies simply in discerning the quirks of Crumb's various personalities, which include, among others, a nine-year-old boy named Hedwig, a sophisticated and dominant British woman named Patricia, a nerdy professor of Japanese cinema, and the Beast himself. 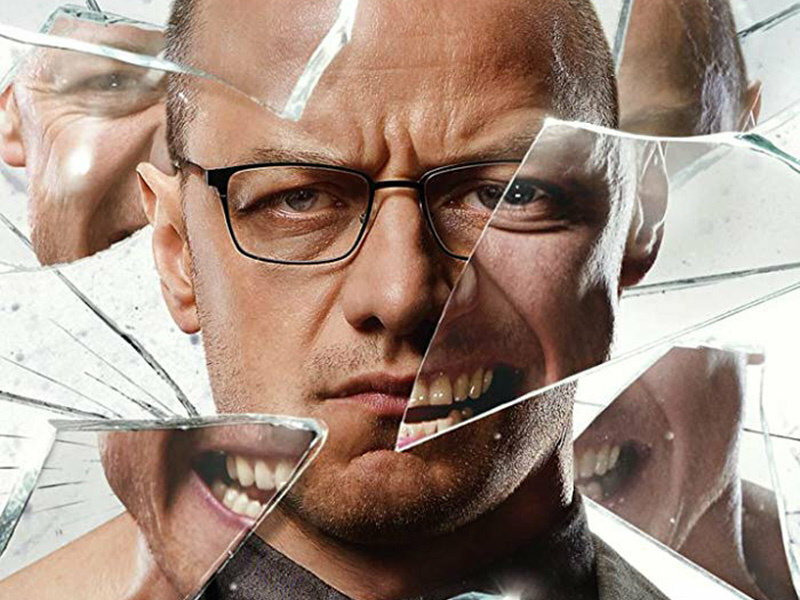 Glass doesn't revel in Crumb's backstory (or his various personalities' backstories) as much as Split does, but the former is better for it; McAvoy instead mostly inhabits just five important characters, and he does so very well. Unfortunately, McAvoy's charisma is a detriment to Willis, and even to Jackson, who have much less nuance to work with and remain most interesting when directly within McAvoy's orbit. The camerawork, editing and imagery on display in Glass is some of Shyamalan's most spirited, and much of it summons great power. But the weight of Shyamalan and cinematographer Mike Gioulakis' imagery has an inverse effect to the film's storytelling. In the lighter moments of the first half — that is, moments that make room for humor in addition to self-seriousness — these shots play out expertly, and yet once the narrative gains momentum the flourishes feel both empty and over-the-top. This narrative drop off can be traced directly to Glass and his master plan, which, when finally put in motion, stunts the plot's curiously inquisitive rhythm and misuses Jackson's terrifyingly effective anti-heroism. 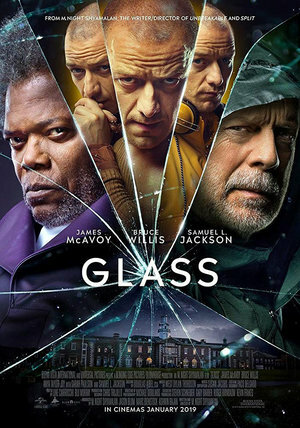 In fact, the moment Glass, Kevin and David decide to team up is the exact point at which Glass crumbles, and yet the fault should be placed on Shyamalan and his befuddling script instead of the actors involved. 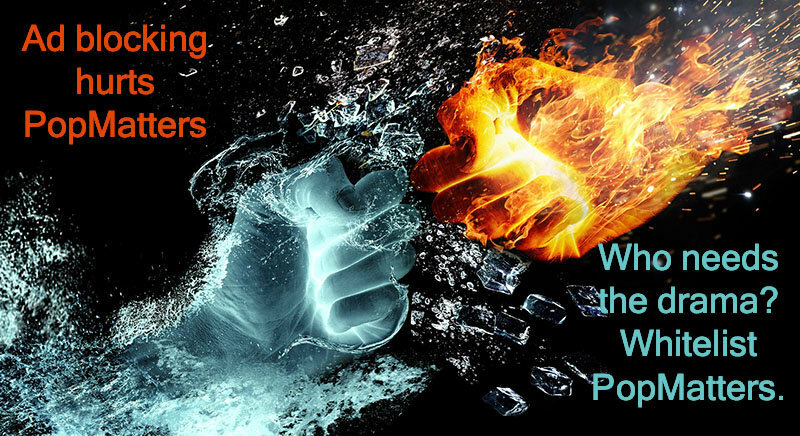 With the introduction of Dr. Ellie Staple (Sarah Paulson), a psychiatrist who attempts to convince the main three that their superpowers are just delusions of grandeur, the film becomes self-aware in a way that is as ineffective as it is maddening. In 2019, when the superhero narrative has been all but absorbed into our very understanding of modern cinema, deconstruction of this nature is hardly revelatory. It's not impressive, then, when Glass predicts behavior by citing his encyclopedic knowledge of comic books or when heroes turn out to be villains and vice versa. The tactic feels unearned and forced, especially as the film's climax unfolds exactly as one would expect. To boot, the addition of Paulson as Dr. Staple and the return of Casey Cooke (Anya Taylor-Joy) are almost offensively bland, rendering performances from two talented actresses into utilitarian plot mechanisms. Glass's biggest failure, though, is its inability to recognize its own strengths. All comic lightness (including a cameo from Shyamalan himself) is dropped the minute the plot thickens, which only serves to undercut a perfectly enjoyable first half. In its place, Shyamalan adheres to a contrived, labyrinthine self-awareness that serves no purpose other than dutifully giving in to the unfair expectations that have followed him for his entire career. The director has talent, just not necessarily in this arena. What Shyamalan succeeds at instead is in framing his leads with a meticulousness that suggests empathy. In 1999's The Sixth Sense, still the director's most accomplished film, it was his care in exploring the psyche of little Cole Sear, not the dramatic twist ending, that established him as a major talent to watch (even if the twist got all the credit). There's some of this exquisite intimacy in Glass and yet, much like his career as a whole, an implied payoff never fully manifests. 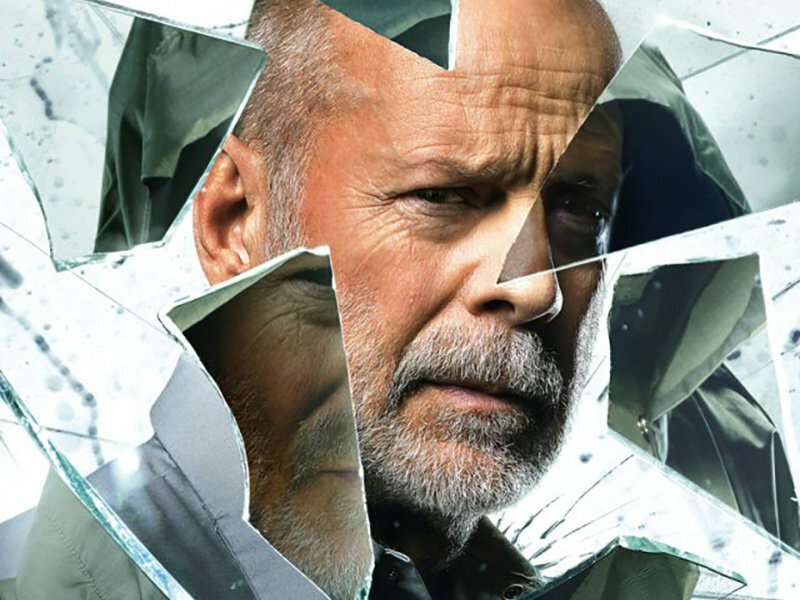 Still, Glass is, despite being the weakest addition to the trilogy, an enjoyable film. Perhaps fans should begin to see their beloved auteur less as someone who will blow their minds and more as a niche genre filmmaker who still holds influence in the industry. In other words, maybe it's time to lower our expectations. The Eastrail 177 trilogy, now complete, is as a whole occasionally very good -- and often disappointing. But it's also quite fun and, however intermittently, has a good deal to offer to fans of Shyamalan and of superhero films as a whole. There should be room for that for many Januarys to come.